New Zealand wasn’t at risk of a direct attack during World War I. That would change nearly three decades later during World War II with the onset of rapid Japanese conquests in the South Pacific. 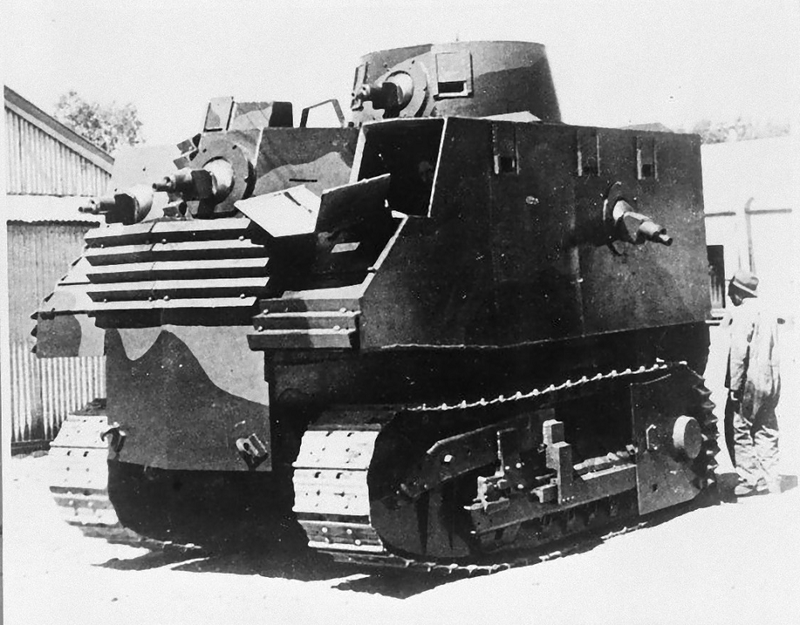 As New Zealand faced the possibility of a Japanese landing, industrialist and conscription minister Robert “Bob” Semple rushed a tank into development for the New Zealand Army. Because of a lack of need before World War II, the Army had no tanks—and the only armored vehicles at all in its possession were four Universal “Bren Gun” Carriers. Semple’s resulting machine, popularly known as the Bob Semple Tank, remains obscure to this day and is remembered mainly as an example of war-time folly. It more resembled the Mad Max-looking war wagons tearing across the modern battlefields of Iraq and Syria than a proper tank. But that’s not an entirely fair description, as Andrew Hills pointed out in a recent and excellent article for the Tank Encyclopedia. New Zealand needed as many war machines as it could get, and Semple did the best he could from his available materials until Allied reinforcements and equipment could arrive and halt the Japanese advance. The Bob Semple tank was an armored RD8 Caterpiller tractor, which made it heavy at 25.4 tons, and slow with a speed of around 7.5 miles per hour. A crew of six included a commander, driver and four machine gunners. Only three of the tanks were ever produced, each containing six .303-caliber Bren machine guns—two in the front, one on each side and the rear, and one in the turret. A proposed Bob Semple Tank variant with a 37-millimeter turret cannon was never built. Then there was the tank’s height at a soaring 12 feet—much taller than a typical tank and more akin to a modern Mine Resistant Ambush Protected vehicle like an International MaxxPro. The New Zealand press made a mockery of the ungainly design when Bob Semple rolled them onto the street for public view. Goofy as they looked, and despite the incorrect (and still-existing) perception that the corrugated armor was useless roofing material, the tanks were well protected, according to Hills at Tanks Encyclopedia. The Bob Semple Tank in fact had two layers of armor, with 12.7 millimeters of corrugated manganese steel atop an additional eight millimeters of armor. This combination was effective at stopping 20-millimeter cannon rounds and small arms. However, the crew was vulnerable to bullet particles ricocheting through gaps in the gun ports. Still, the Bob Semple Tank was reasonably armed and armored—and well, it was better than nothing. It’s impossible to know whether Japan would have brought along its own tanks—not particularly renowned themselves—along with its army had it invaded New Zealand. Nevertheless, the Bob Semple Tank was not exactly practical. Japan had other priorities in the Asia-Pacific, and better Allied tanks soon entered service with the New Zealand Army. 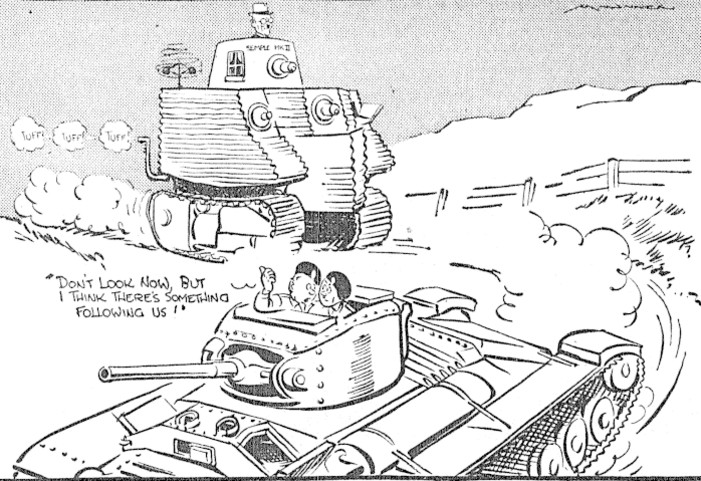 Of the three Bob Semple Tanks, one saw service in the Pacific but only after it was reconfigured as a bulldozer, according to Hills. But Bob Semple the man had no regrets, and he continued to defend his Bob Semple Tank. “That tank was an honest-to-God effort to do something with the material at our disposal when raider were at our back door,” he said.